Hi, my name is Scott Johnson and thank you for taking time to visit our website here at Creative Insurance Solutions. I would like to take this opportunity to tell you a little about myself, who we are, and what we do here at CIS. I grew up and still live here locally on a farm. My Father and Grandfather instilled in me at a early age the values of hard work, ethics, and honesty. My family, like many others in this area, had hopes that their children would have opportunities beyond the farm and the life they knew. I was fortunate enough to receive a college education and years of training in the business world. My early years in the insurance business consisted of knocking on doors in hopes to meet people that I could quote their insurance. I remember parking my 1980’s model Ford pickup at the end of the street and walking door to door in the subdivision in hopes that the prospect would not see the paint peeling off the hood (not to mention the dents it had accumulated!). The job was not glamorous that was for sure; however, the hard work and values taught at the farm paid off. 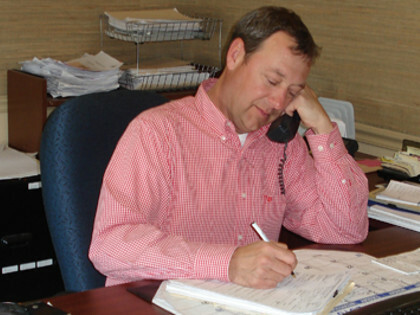 Over the years, I have insured thousands of customers and many of those initial cold calls are considered close friends as well as long term clients. Here at CIS we work for you, the client. We are Insurance Brokers and represent multiple A rated insurance companies. The more carriers we represent the more likely we are to beat out the competition. Once we beat your current rates and write your business, then we have to earn it every year. Not only do we shop your rates at renewal if there has been an increase, we also offer great personal service. When you call with a claim, billing question, or any other service matter, you will be greeted by a live person who is qualified and willing to assist. Our job is to give no reason for our clients to leave us. We do this by offering multiple insurance company choices, cutting-edge technology, and great service from real people.